Christmas will never be the same, thus, godchildren are celebrating! 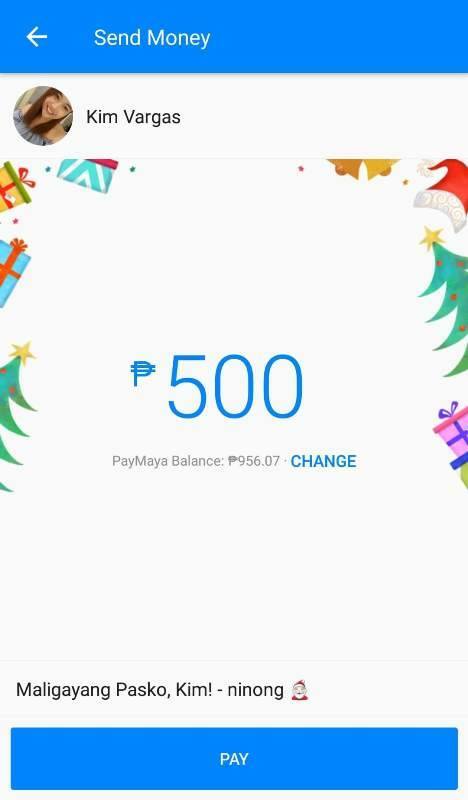 PayMaya has introduced their “Digital Aguinaldo” service on Facebook Messenger, allowing users to send money gifts in a simple tap on their smartphones. First, if you already have a PayMaya account, you only have to link your account to Messenger by chatting to @PayMayaOfficial. If not, you can sign up for an account using any mobile number from all networks using Messenger. Once the account is linked to Messenger, you can now upgrade your account, and load it on any top-up partners that PayMaya has nationwide. On that note, there are already more than 15,000 top-up stores available, including Robinsons Department Store Business Centers, SM Business Services, TouchPay kiosks, 7-Eleven, Cebuana Lhuillier, ExpressPay branches, Palawan Pawnshops, Shopwise, Wellcome, 2Go outlets, Petron stations along NLEX, and Smart Padala centers down to sari-sari stores in grassroots communities, and Unionbank ATMs. To send an ‘aguinaldo,’ simply chat with @PayMayaOfficial in Messenger, click the “Promos & Gift” tab, and select the “Send Aguinaldo” option. Then, choose which Facebook friend will receive the money, and enter the amount of money to be sent. After tapping the “Pay” button, the user will be asked to enter their Facebook password. Once the person receives the money in Messenger, it automatically goes to their PayMaya account if they have already registered, or they can create one if they don’t have. This feature is now available to Android users, and those with upgraded PayMaya accounts.